A well-edited palette of smoky brown hues offering countless colour combinations, all in a rich matte texture. The saturated soft and smooth shades are packaged in one pocket-sized compact for easy portability. Explore the entire range of Eye Shadow available on Nykaa. Shop more M.A.C products here.You can browse through the complete world of M.A.C Eye Shadow. Alternatively, you can also find many more products from the M.A.C Eye Shadow X 9 range. Explore the entire range of Eye Shadow available on Nykaa. 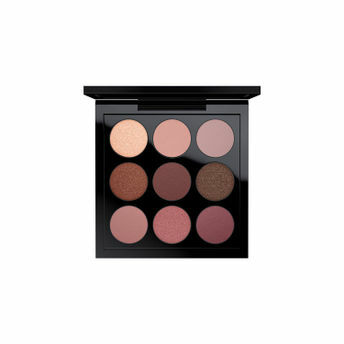 Shop more M.A.C products here.You can browse through the complete world of M.A.C Eye Shadow .Alternatively, you can also find many more products from the M.A.C Eye Shadow X 9 range.